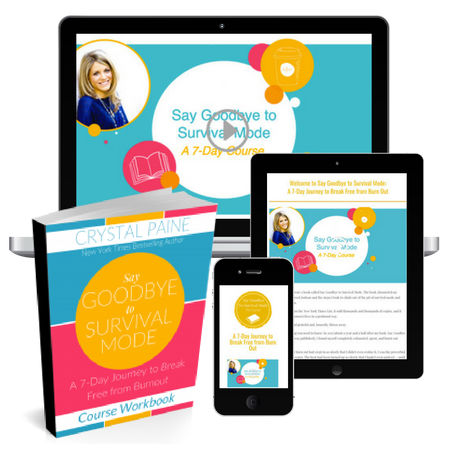 Redeem your FREE access to Say Goodbye to Survival Mode: A 7-Day Journey to Break Free from Burnout below! Enjoy Crystal’s popular New York Times bestseller in a new way with this engaging, comprehensive course! Gain first-hand tips, strategies, and encouragement as you walk through this in-depth course alongside Crystal. You’ll appreciate the actionable, tangible steps Crystal will provide you to get out of survival mode so you can start enjoying life and living with more passion!